04/25/19 2018 Yellow Belly 100% "HET" Pied with "ringer mark" Andy Jones FedEx from the Heart of East Texas. 04/25/19 2018 100% HET Pied Males. Andy Jones FedEx from the Heart of East Texas. 04/25/19 2018 Banana Yellow Belly Male Andy Jones FedEx from the Heart of East Texas. 04/25/19 2018 NORMAL Female!! HET FOR NOTHING!! Andy Jones FedEx from the Heart of East Texas. 04/24/19 Yearling Hi-White Pied Female! Extraordinary Ectotherms Nationwide Shipping. 04/24/19 2018 Albino Pied Super Banded Paradox Line April Video Link!! Extraordinary Ectotherms Nationwide Shipping. 04/24/19 2018 Coral Glow Pied Male Low White Rat Eater! April Video Link!! Extraordinary Ectotherms Nationwide Shipping. 04/24/19 2018 Pastel Lavender Albino Male And 2 Female Pastel Het Lav! April 24 Videos! Extraordinary Ectotherms Nationwide Shipping. 04/24/19 2 Female Super Vanilla Screams!! New Pics!! Extraordinary Ectotherms Nationwide Shipping. 04/24/19 2018 Albino Super Banded Sexed Pair #2! March Pics!! Extraordinary Ectotherms Nationwide Shipping. 04/24/19 Female Banded Double Het Snow 1485 Grams!! Extraordinary Ectotherms Nationwide Shipping. 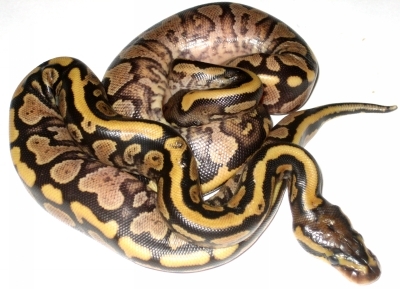 04/24/19 2016 Female Pastel Possible Yellowbelly Possible Het Pied! 800 Grams Plus Feb 19 Extraordinary Ectotherms Nationwide Shipping. 04/24/19 2018 Super Banded 100% Het Albino Paradox Line!! March Pics! Extraordinary Ectotherms Nationwide Shipping. 04/24/19 1.2 Pastel Het Lavender Albino Yearlings. April Video Links! Extraordinary Ectotherms Nationwide Shipping. 04/24/19 2018 Pastel Lavender Albino Pair and Pastel Het Lav Girl!! April Video Links! Extraordinary Ectotherms Nationwide Shipping. 04/24/19 2018 Butter Super Pastel Hypo 1.2 Trio! 24 April Video Links! 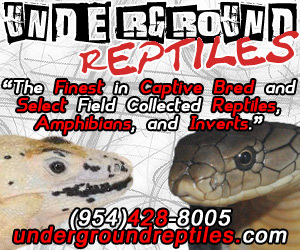 Extraordinary Ectotherms Nationwide Shipping.